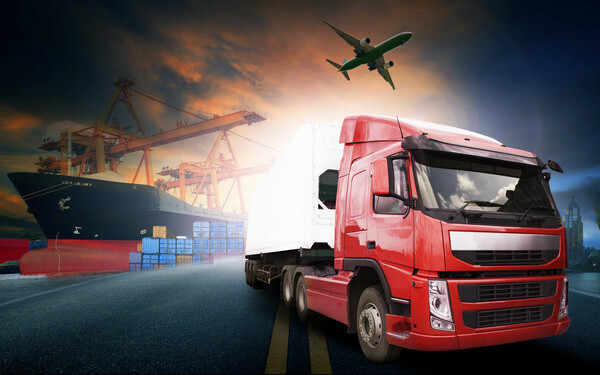 With another freight payment provider filing for bankruptcy, it is a useful time for shippers to take a closer look at the way they utilize payment vendors and how those vendors facilitate transactions. IPS Worldwide LLC has sought bankruptcy protection on liabilities north of $100 million to address “creditors becoming antsy,” according to the representing bankruptcy lawyer. Assets listed amount to only $50,000. Low service fees and minimal communication often makes proper diligence fall into the background for shippers who utilize these services precisely so they can focus on their core business. While a good freight payment service should certainly lighten the load, effective oversight and communication are still needed to ensure the accounts are being handled properly. Payment providers like IPS pool advanced client money to pay freight transportation bills, but the recent bankruptcy filing reveals major issues in this practice. Customers like Stanley Black & Decker have found that their money was not being applied the way they thought, topping the IPS list of unsecured creditors at $41.6 million. “Best-In-Class” practices call for a fundamentally different methodology because utilizing an opaque intermediary that accepts client money and pays on their behalf to pay bills at a later date leaves all parties open to unnecessary risk. Instead, an independent third party should work closely with shipper and carrier as a facilitator. Shippers should pay their own invoices directly to the carrier. Not only should the payment be made by the shipper, but only the right amount should be paid. A good spend management partner should handle any discrepancies with carrier billing and reconcile them before the invoice is presented for payment. This contrasts with the traditional style of paying the full invoice and then attempting to recover funds later or “short paying” and causing tension, late fees, and re-billing between shipper and carrier. Shippers should only have to pay with one check for their parcel expenses. The net bill should be consolidated across accounts with details sent to the carrier on how to allocate the net amount that the client paid. This allows for costs to be properly allocated down to the tracking-number level. Traditionally, many accounts are paid separately with each additional check leaving room for error and allocation headaches. Not only should the total amount be paid in one transaction, but the expenses should be applied to the appropriate ledgers. Granularity is key, and capabilities like applying the base freight of a package to one business unit and the accessorial charges to another should be available. In 2013, similar companies in TransVantage Solutions and Trendset Inc. also filed for bankruptcy. This highlights the problems that can arise from a business model that is no longer suited to today’s conditions. Transparency and precision are crucial to understanding the increasingly complex impact of shipping initiatives in a competitive environment. Rather than blindly sending money to a middle man for later payment of bills, shippers should work with independent third parties that communicate closely with both shipper and carrier to facilitate transparent, cooperative interactions, leading to better results for all. Matt Weickert is a Strategic Sales Engineer at Green Mountain Technology, a Parcel Spend Management service provider for shippers with over 10 million parcels per year. Matt has a Bachelor of Science Degree in Industrial Engineering from Mississippi State University and has a passion for distilling vast amounts of data into intelligible, actionable insights by which optimal decision-making can be achieved. He also runs a lot.